I’m still not sure where Kenora is. I only know I heard a robotic voice tell me about the weather there last June. It rained in Kenora. The wind blew in Kenora. They had sunny days in Kenora. It was cloudy with a temperature of 68 in Kenora. Then Kenora disappeared and I never heard about it again. International Falls, Crane Lake, and Ely replaced Kenora before fading away to make room for Grand Marais, Sault Ste Marie, Taconite Harbor, and Silver Bay. There are two robotic voices. One man, one woman. She usually handles the marine forecasts. He does the weather. I love them both. They read out weather reports like bedtime stories while I sit in my tent and try to imagine where all the places are on a map. Sometimes they are the only voices I hear for days and I turn on the radio just to have company. I recognize some places, I see them on the edges of my maps or I pass them, others just appear on the radio for a few days then fade away into static, existing in my mind only as long as I hear about them. Then one day, I heard places I knew. 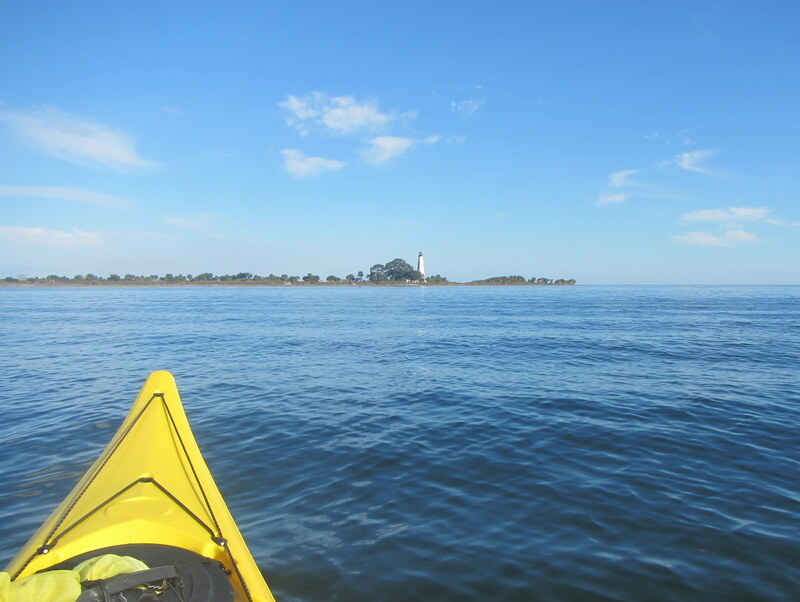 Apalachicola Bay, Ocholockonee River, the buoy south of Panama City, St. Marks River Entrance, Shell Point. I flicked up the volume, listening, waiting, and then there it was. Tallahassee, where I was born and grew up. Tallahassee, where I packed for this trip. Tallahassee, where my parents live. Tallahassee, where it was clear, the temperature was 63 degrees, the wind was east at 10 miles an hour. Tallahassee, where I finally paddled to today. Tallahassee, where I finally paddled home. Posted in Angle to Key WestTagged Angle to Key West, home, marine radio, tallahassee, traveling across the countryBookmark the permalink. Feel sure someone has already told you but Kenora is in the Lake of the Woods area north of Mn in Canada. Been there – had a friend who had a wonderful fishing resort there in long ago years past. We visited the nice little town. Lots of folks here in Tallahassee who love having you home! The posts are date-lined about three weeks behind “real time”. Is this intentional? We would like to see you as you pass Anna Maria Island. So this time when some says, “Umh. You ain’t from around here, are you boy?” you will have a different answer. Take me back to a south Tallahassee. something something something something sweet sassyfrassy. There is no place like home, especially after a long absence. How sweet it is to come back home.